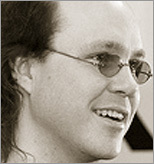 Brian "Krow" Aker has spent the last decade working on projects to promote communities, information, and publishing in the digital world. He has worked on the Virtual Hospital and has built data warehouses for groups like the Army Core of Engineers. He currently works as the "database thug and Apache guy" for OSDN on the website system that makes slashdot.org tick and is an instructor in the Perl Certification Course at the University Of Washington. For kicks, he writes oddball Apache, MySQL and Perl modules. Since he prefers rain and storms over most any type of weather, he lives in Seattle, Washington.